Aggregates form the major portion of the pavement structure. Bear stresses occurring on the roads and have to resist wear due to abrasive action of traffic. Aggregates are also used in flexible as well as in rigid pavements. Therefore, the properties of aggregates are of considerable importance to highway. The aggregates used in the surface course are subjected to constant rubbing or abrasion due to moving traffic. Abrasive action may be increased due to the presence of abrasing material like sand between the tyres of vehicle and the aggregates exposed to the top surface. Thus, they should be hard enough to resist the wear due to abrasive action of traffic. Aggregates in the pavement are also subjected to impact due to moving wheel loads. The magnitude of impact increase with roughness of road and speed of vehicle. Severe impact is common when heavily loaded steel tyred vehicles move on WBM. The resistance to impact or toughness is thus another desirable property of aggregates. The aggregates are subjected to physical and chemical actions of rains and ground water, the impurities in them and that of atmosphere. Thus it is desirable that the road stones used in the construction should be sound enough to withstand the weathering action. The property of aggregates to withstand the adverse actions of weather may be called soundness. 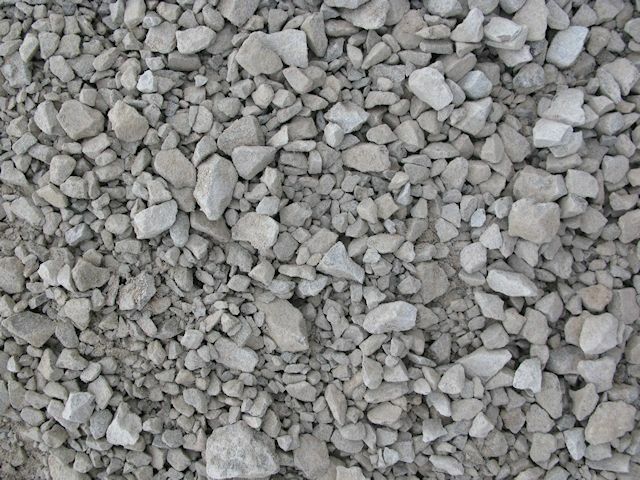 Aggregates may be rounded, angular, flaky or elongated. Flaky and elongated particles have less strength than rounded and cubical particles. Thus, too flaky and too much elongated particles should be avoided. The aggregates in bituminous pavements should have less affinity with water when compared with bitumen, otherwise the bituminous coating on the aggregates will be stripped off in presence of water.